Osteopathy West London are dedicated to patient care and specialise in the treatment of back and neck pain. We adopt a holistic approach to health care and believe in treating the whole person not just the symptoms.We provide expert treatments, both structural and cranial, for adults, children and new born babies. We use a direct hands-on approach to osteopathy and use a wide range of osteopathic techniques including the use of spinal manipulation, remedial massage and medical acupuncture. Though some gentle spinal manipulations (joint ‘cracking’, ‘clicking’ or ‘popping’) may be used, we believe that there is so much more to treatment and adopt a far more therapeutic approach involving joint mobilisation and muscle therapy. As well as effectively alleviating the symptoms of pain and discomfort, a strong emphasis is put on overall health and well-being. Following treatment, we offer prescriptive exercise plans, dietary suggestions and self-care advice. Our aim is to help each and every patient back to their best health both inside and out! Osteopathy West London is part of Body and Soul Zone, a multidisciplinary health care centre in Ealing Broadway, West London. 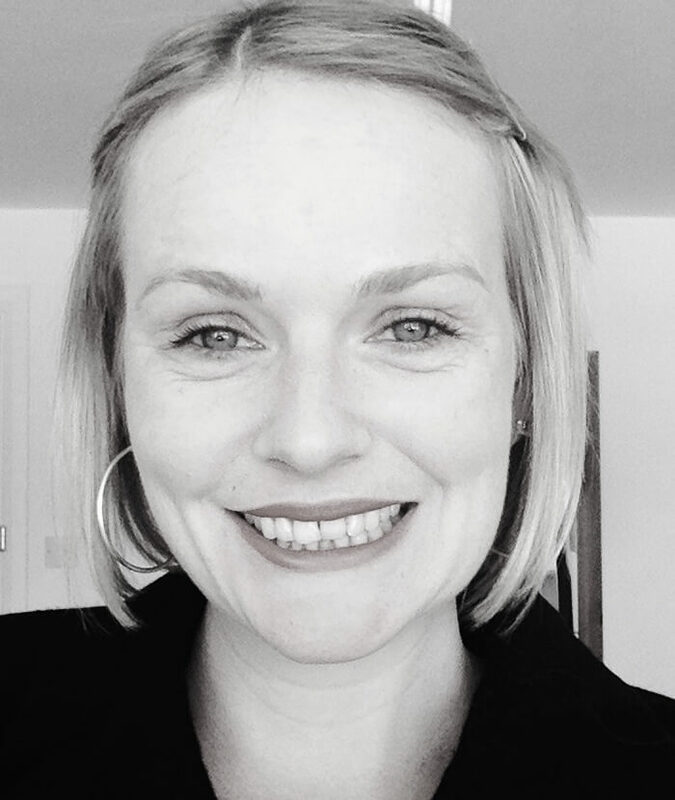 Hannah Whitcombe is both the founder and owner of Osteopathy West London. Hannah adopts a holistic approach to healthcare and enjoys treating a variety of patients. She uses a structural approach to osteopathy and offers medical acupuncture as well as osteopathic technique. She has a background in nutritional therapy, which she uses to complement her osteopathic practice by providing dietary and lifestyle advice. Before coming to Osteopathy and natural medicine, Hannah traveled extensively and spent many years teaching English as a foreign language. Her teaching skills aid her ability to communicate effectively with patients from all walks of life. Hannah has a keen interest in yoga, swimming and walking. Hannah is registered with the osteopathic council (9256) and a member of the Institute of Osteopathy. Sara graduated from the Istituto Superiore di Osteopatia in Milan with a Masters Degree in Osteopathy. She has since moved to London in order to attend a Postgraduate Course in Specialist Paediatric Osteopathic Practice at University College of Osteopathy. Therefore, besides regular osteopathic practice, she has advanced skills in the care and treatment of babies, children and pregnant women. Sara values the impact of lifestyle on health, and is a keen advocate of proper diet and physical activity . Her treatments include structural, visceral, fascial and cranial techniques, as well as exercise prescription and lifestyle advice. She has experience in working with adults, elderly patients, athletes, children and pregnant women. Sara is registered with General Osteopathic Council (10412) and a member of the Institute of Osteopathy. Bethany is a qualified sports massage therapist and medical acupuncturist. She is completing a Masters degree in Osteopathy at the British College of Osteopathic Medicine. Recognising the importance of approaching massage holistically, Bethany incorporates the Osteopathic principles within her treatment. She combines hands on treatment with exercise and lifestyle advice in order to allow for the best possible recovery rates for her clients. Bethany has previous experience working with runners, professional rugby teams and triathletes. She also treats general aches and pains, related to modern lifestyle and postural strains. Bethany is fully insured to perform western medical acupuncture and deep tissue massage therapy. I’m amazed how Hannah helped relieve my pain and help correct my posture in just a few short treatments. Thank-you! Hannah helped me with reoccurring back pain that I have had for years, as well as teaching me several exercises and stretches to stop it from happening again. Money well spent! I went to Hannah for a shoulder injury and her treatment made a big difference. I highly recommended her treatment!